Jessamine Price is a writer, teacher and three-day Jeopardy champion currently working in South Korea. She has a B.A. in history from Drew University (1996), an M.Phil. in economic and social history from Oxford (2000) and an MFA in creative writing from American University in Washington, DC (2014). Her talents have been recognized with several fellowships, including a Fulbright-Hays grant and a Mellon Fellowship from the Woodrow Wilson Foundation. Her award-winning nonfiction and poetry tackles mental illness, spirituality, life abroad, and the power of narrative. Jessamine is an experienced expat and student of foreign languages who speaks several languages. Her first job after college graduation was in Sana’a, Yemen, and she spent her twenties pursuing a Ph.D. in Middle Eastern studies in New York and Cairo, Egypt. She spent her thirties teaching history and world religions in the United States. Now in her forties, she teaches English composition and creative writing to students of all ages in South Korea. As well as being an experienced teacher, she has worked as an editor and staff member for journals in several fields, including a literary magazine (Folio), an academic journal (the Arab Studies Journal) and a leading multi-disciplinary science journal (the Proceedings of the National Academy of Sciences). 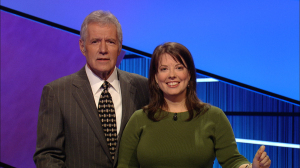 In March 2012, Jessamine competed on Jeopardy, coming from behind to win three times before losing on her fourth night. 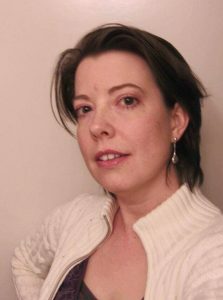 Jessamine was born and raised in Alexandria, Virginia. Click here for my essays (writing as Odessa Jones) about Korean TV at K-Drama Today. Copyright © 2015-2019 Jessamine Price. All rights reserved. Unless otherwise stated, photos or images on this site are either in the public domain or were obtained through Creative Commons and are copyright their respective artists.